How big is your vision? Can you imagine 'Your Renaissance'? Are you ready to experience the Italian Renaissance? Do you want to discover how Renaissance and Humanistic values are related to you? How they can inspire you? How you can apply the brilliant insight of Italian Renaissance and Humanism to your daily life and work? Do you want to bring your Italian knowledge to a higher level? 'Your Renaissance - Italian Coaching Program' develops through the analysis of Renaissance masterworks, Humanistic milestones, and other aspects of the Italian culture. Practice the Italian language and culture and get in touch with your 'Italian persona'! Testimonial: The Coaching programs have helped my understanding, knowledge, and appreciation for the Italian culture and language immensely. From just a language point of view, my vocabulary has increased enormously, my written expression has improved, my reading comprehension has improved, and certainly my oral presentation and understanding has improved significantly. From a cultural understanding and knowledge, I have learned so much it is really difficult to explain. I now follow Italian politics by reading articles and blogs, I watch economy, and I continue to rent/buy Italian movies. There was one incident in particular with which I was very pleased with myself. It happened shortly after I finished the "Your Renaissance" program. 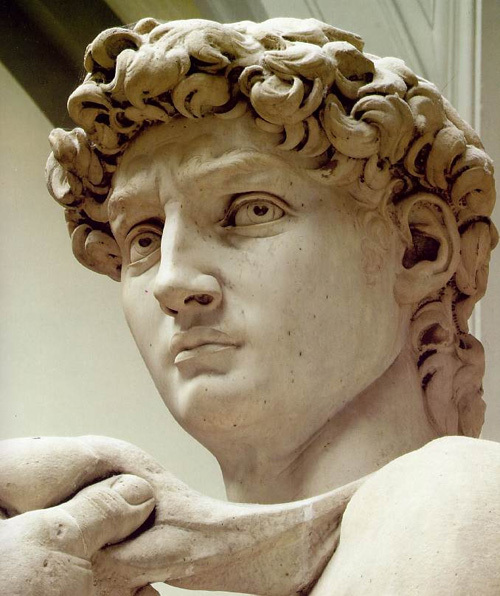 There is comment that is attributed to Michelangelo about the reason he was predestined to be a sculptor. Someone I was talking with asked, in Italian, if I knew to whom the comment was related, I cannot express the pride I felt when I responded, in Italian, Michelangelo and the background surrounding it. Session 1 - Meaning and use of portraits during the Renaissance. Selection of portraits by different artists. Your presentation. How to start the creative process. Create your self-portrait. Session 2 - The Annunciation - works by different artists. Concept of individuality. The individual versus society. Our own limits and borders. Automatic reactions in front of unexpected news. Session 3 - How to observe a work of art. The work of Michelangelo. Nourishing ourselves versus eating. Session 4 - Italian brain drain. 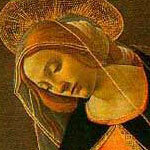 The work of Leonardo. The "dilemma" of Leonardo. Alignment between actions and values. Our deepest internal values and actions. Making the right choices. Session 5 - Raffaello. Balance in the work of art. Balance in our life. 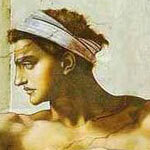 Session 6 - Tiziano and Botticelli. Sacred and profane love. Freedom to let emotions 'circulate'. Protection. Session 7 - Caravaggio. The rage and the ability to choose. Flexibilty. Session 8 - Meaning and use of self-portraits during the Renaissance. Your true self. Selection of self-portraits and works by different artists. Evaluate your journey through Your Renaissance and create another self-portrait. Testimonial: This is truly a very special and unique program. It's not like the rest of Italian courses the Internet offers. I have never found such a high quality course. 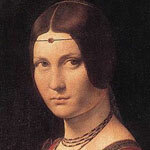 Let your friends know about Your Renaissance - Italian Coaching Program. The Italian Coaching Programs are a very special and unique educational experience where you will bring your Italian language and culture to a higher level.